Hi there sweeties, goodmorning. And what a beautiful morning it is…. look at this! Normally when I wake up, first thing I do is make coffee and then wander into my atelier with a full mug of that black stuff. But not today! After I put the kettle on, I grabbed my camera and got out on the balcony to make some photos. We had some snow last week but there was a strong wind blowing the snow everywhere… today is all quiet which makes for the snow to land beautifully on the rooftops and trees… I’d hoped for a snowy day like this as it was a thing I badly wanted to see from our ‘new’ home… we live here for almost a year now and we experienced all festivals in town, all seasons and all kinds of weather in that year, except for a view like this. I spend the first hour of the day sitting at the window in the living room. The beginning of week 3 was on my desk last week and some of you asked where I find the images to collage with… I have lots of magazines but I almost always grab a glossy fashion magazine (Vogue, Marie-Claire, Harper’s Bazaar) for the heads and figures and National Geographic to find pics of landscapes (the stones the lady ‘sits on’) and animals. The hand, holding a cellphone, is from an advertising page in NG. 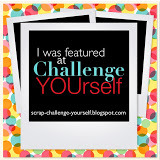 … and another little project to show you. Yesterday it was my dad’s birthday. He likes to paint so I bought him a set of brushes… and while walking home I remembered the knitting needle roll that Jan (Lunch Lady Jan) sewed and showed on her blog a couple of weeks ago. 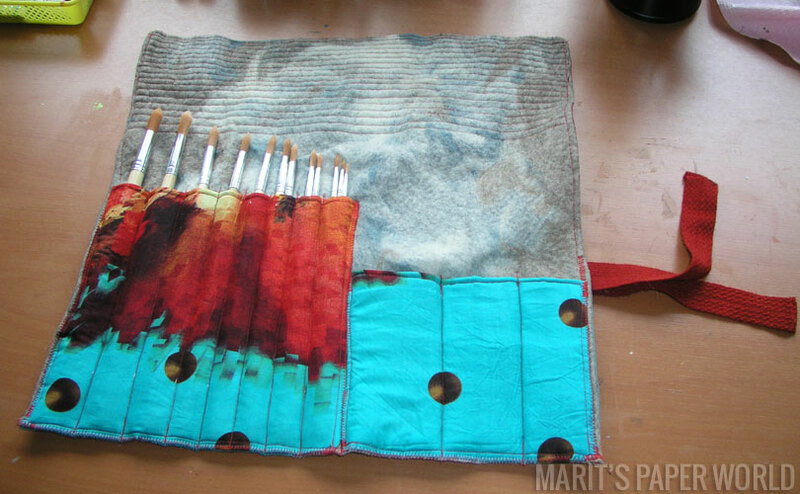 Coming home, I went straight to the atelier and found the right fabric to make a ‘brush roll’, YAY! My ‘roll’ is not as neat and ‘sharp’ as Jan’s but I like it and, even more important, my dad likes it! I had a large piece of thick felt that was good to use on the inside and a piece of fabric that I bought on a market years ago had just the right colours and design to go on the outside. Here’s how it looks when it’s open. The top flap protects the brushes before you ‘roll it’. … and this is what it looks like when you close the roll. and thank you, visitor, for your visit. Oh, that roll is gorgeous and perfect for your dad’s brushes – the fabric even looks as if it’s had paint splashed over it! It looks like you had great fun making it – I do love sewing! And the view from your new home is quite magical in the snow, how beautiful is that tree? Wales is due to have a load of snow tomorrow, as I live by the sea, we don’t often get a lot. Thanks for visitining me earlier and for your lovely comments. 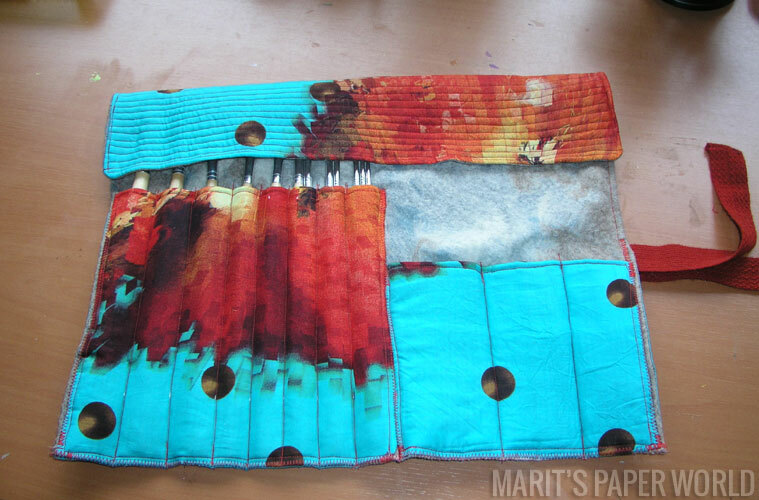 I love the brush roll and can see why your dad loved it too….it was made with love and gorgeous colours too. Wat een prachtige sneeuwfoto, mooi om te zien. De kwastenrol ziet er mooi uit, ik kan me voorstellen dat je vader er blij mee is. Ik ga dit ideetje even bewaren, lijkt me handig voor m’n haaknaalden. 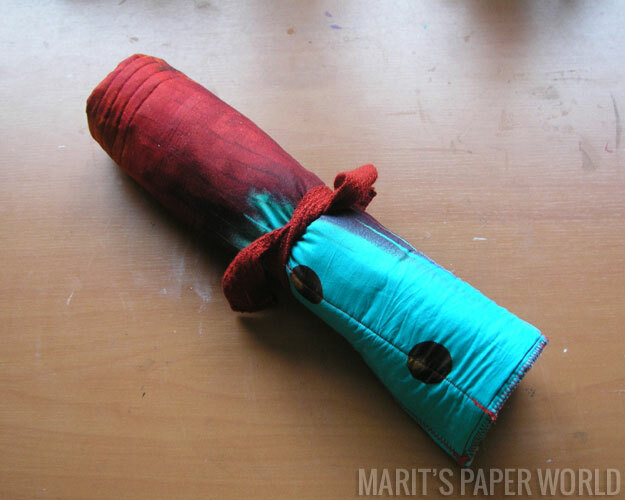 Wow, gorgeous photos and so many interesting things on your desk – love that brush roll!! What a lovely surprise the snow, softly settled over everything, made as start to your day. Almost a year in your new home! It seems like only the other day that you took us on a tour of Middelburg with photographs. And, what a lovely gift (artist to artist) for your father, both the brushes and the “roll” to keep them safely stored. 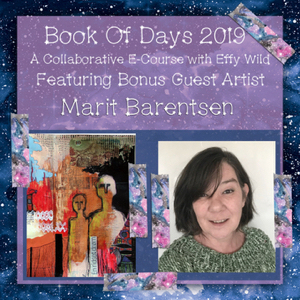 Have a wonderful day, Marit! Brilliant sewing job Marit, no wonder your dad liked it so much. 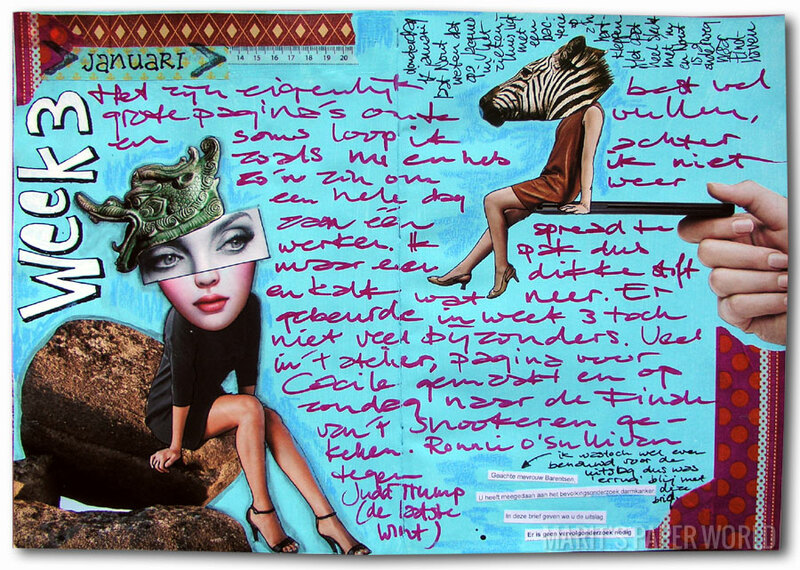 Thanks for the tip about the best magazines for collage images. I will have to find a dentist to raid of old magazines lol. Happy WOYWW. Sarah #4 PS thanks for the visit. Hi Marit, Love the snow photo. I agree about the journal spread being just right and to write in the lighter areas. I love the woman with the Zebra head. The brush roll is fab, so not surprised your dad likes it. 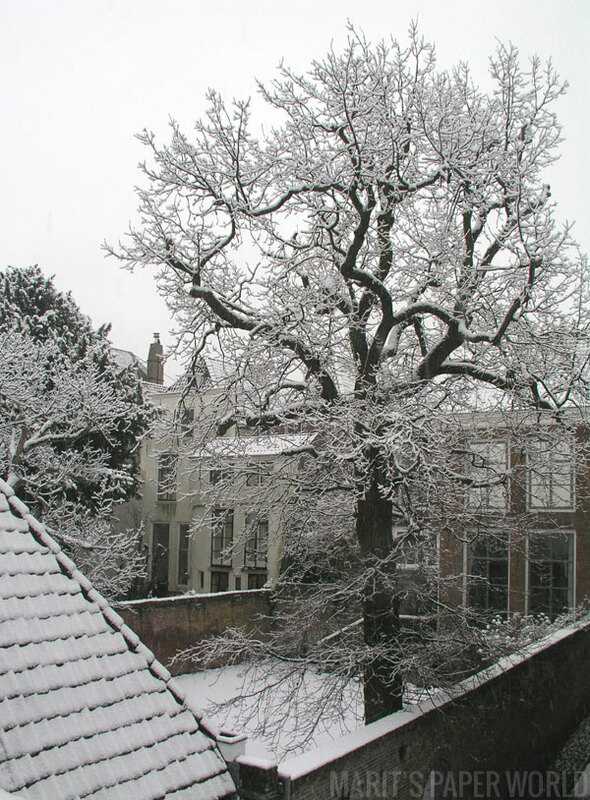 Love your photo of the snow – and I got treated to some Dutch houses too. I love the architecture in The Netherlands when I visit. 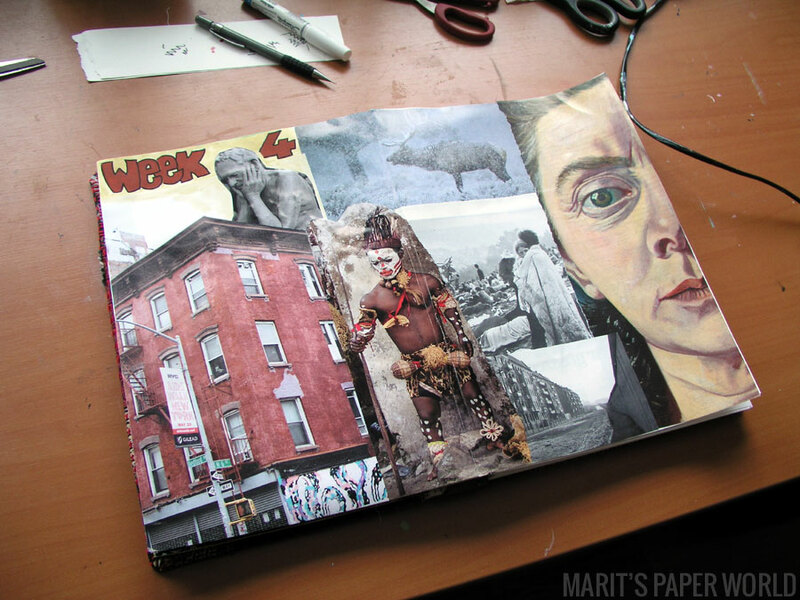 Your journal page with the face on is fantastic – what a gorgeous face that is. Love the Chronicle no 3 too but that face blew me away. Just as the brush roll for your dad did. What a lovely gift – brushes and a roll handmade by his daughter. 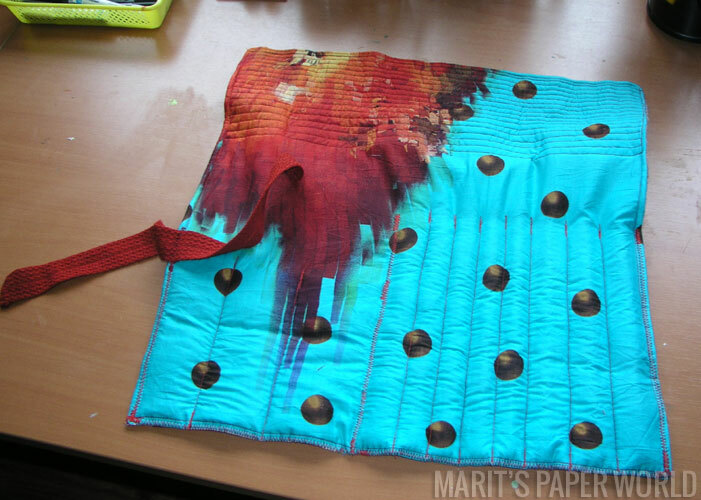 Plus the fabric is just fantastic – love the turquoise colour with the splash of colour. Great! Hi Marit. That fabric for the roll is great! Just right – looks like the brushes have spread the paint around. Glad your dad so liked it. I can totally see why your dad loved his present, it’s full of your character and art style, and full of useful brushes. Perfect, I’d say. and week 4 in the journal looks great too…I think the question of to gesso or not to gesso depends entirely on how much you have to write!